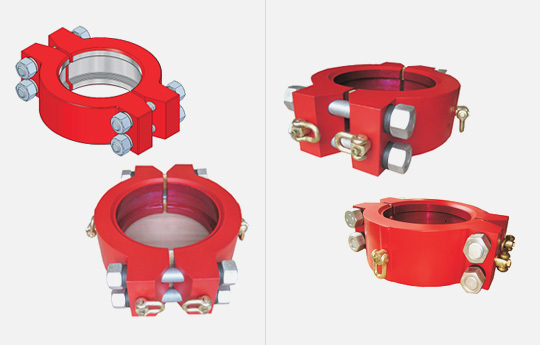 JVS design and manufactures clamps in accordance with API specification 16A. Clamps are matting devices, which allow faster and easier make up to API 16A hubs. Clamp connections have 360° rotation ability thus allows limited space & ease of access to stud and nuts. We provides swivel lifting eyes on larger sizes in order to facilitate handling of clamps in horizontal & vertical position easily.